Who run the world? Ladies, empower other women whenever you sport this feminist tee! 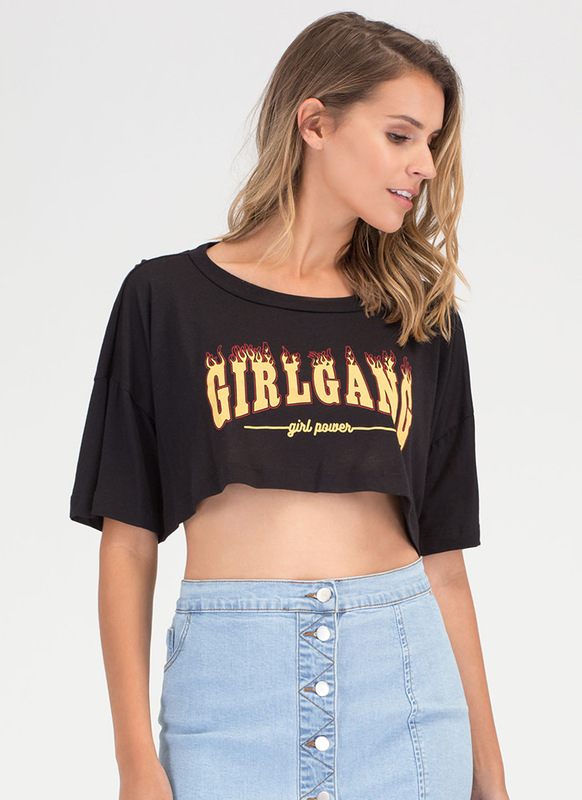 Lightweight, stretchy tee features a relaxed, cropped silhouette with "girl power" in cursive script underneath "GIRL GANG" in flaming typeface. A wide crewneck leads to dropped shoulders and short sleeves. No closures.